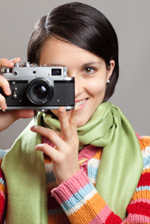 Are you playing photographer for your camp this summer? Whether you're using a fancy digital SLR or the camera in your Smartphone, these tips and tricks will help you take camp photos that look professional and capture the memories for years to come. Shoot the entire camp - In addition to smiling campers and counselors, be sure to photograph the facilities and surroundings. Capture all the signs, locations, and landmarks your campers will want to remember. Snap a picture of cabins and classrooms when they're empty as well as full. Turn off your camera flash - You don't always need it, even when indoors. Shadows help define shapes and add depth while bright light can wash out your subject. Let natural light tell the story. Turn on your camera flash - In overcast or shady outdoor settings, a little extra light can be helpful. Using a flash can also help with action photos. When in doubt, take the photo both ways. Try a new perspective - Experiment with angles by lying on the ground or climbing on top of a chair. Catch campers from the side or from behind. Shoot from below to make objects appear bigger or shoot from above for a bird's eye view of the action. Hold it steady - Use a tripod or steady your camera on a rock or chair to prevent blurry pictures. This is essential for evening shots around the camp fire, when turning off the flash can help capture the natural glow of the fire. Go off-center - Focus on your subject and then move them off-center for a more interesting composition. Balance the shot by putting more space on the side of the frame your subject is looking toward. Always keep your camera handy - You never know when a camp memory is about to happen! Your campers know The Build-A-Bear Workshop for their fun, interactive shopping experiences. 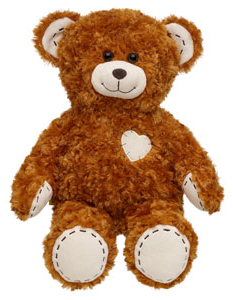 But did you know that Build-A-Bear offers grants to organizations that support children? The Build-A-Bear Workshop Foundation offers grants to 501(c)(3) organizations or registered Canadian charities in two areas that could be applicable to camps. If you operate a special needs camp or a camp through a childhood disease research foundation, you could be eligible for a Children's Health & Wellness grant of $1,000 to $10,000. Their goal is to provide grants to help programs that are working hard to make the world a healthier and happier place for kids. The Build-A-Bear Workshop Foundation also offers Literacy & Education Grants to summer reading programs, early childhood education programs and literacy programs for children with special needs. Many day camps & special needs programs can also qualify for grants of $1,000 to $10,000. Applications are accepted on a rolling basis until October 28, 2011.